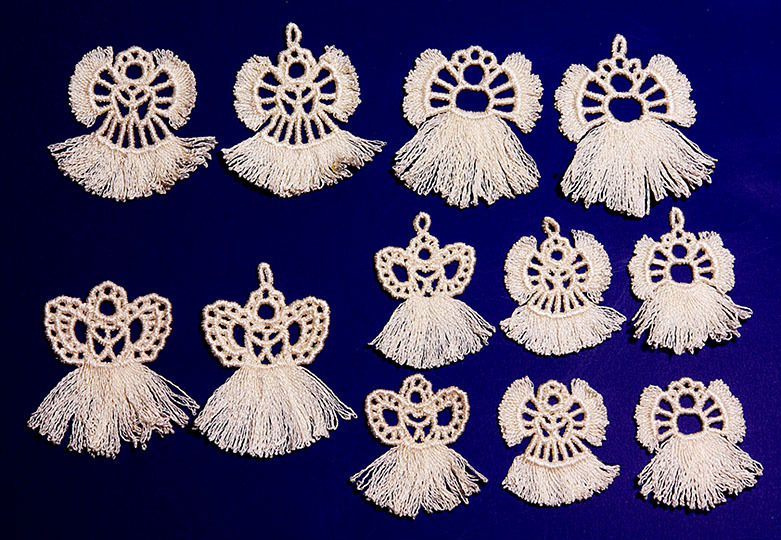 FREE fringy earring/motif design download. This free design set will be added to your order. 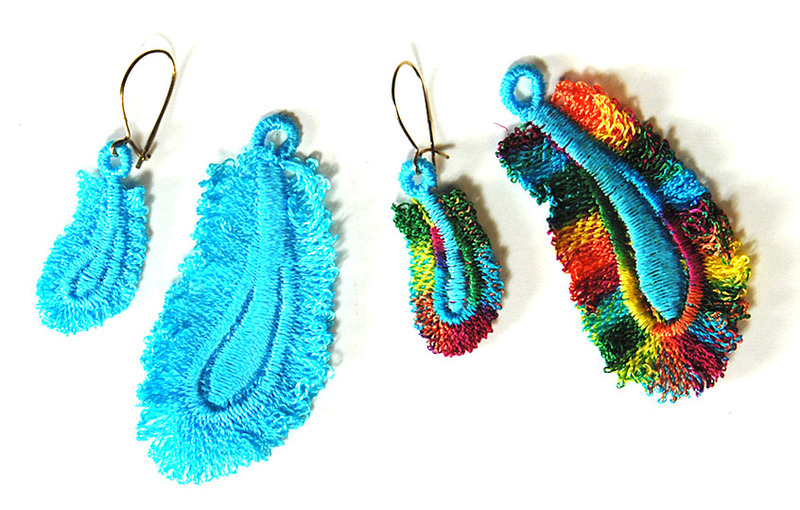 FREE fringy earring/motif design download. Follow instructions below. The free design set will be added to your order. 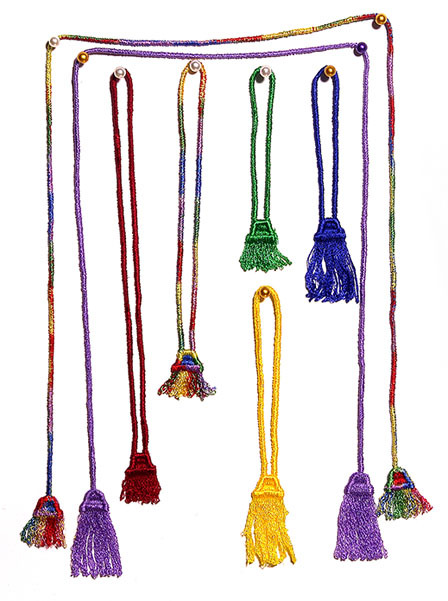 or combined into groups for embellishment of clothing, pillows, etc. Free with any order! One freebie coupon code per order, please. 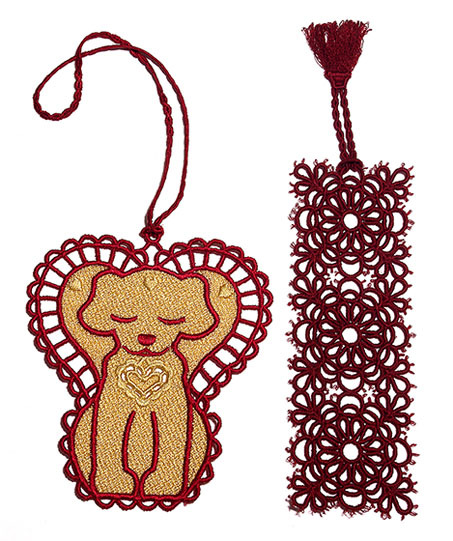 Freestanding lace bookmark with fringe, fits 4" x 4" hoop. 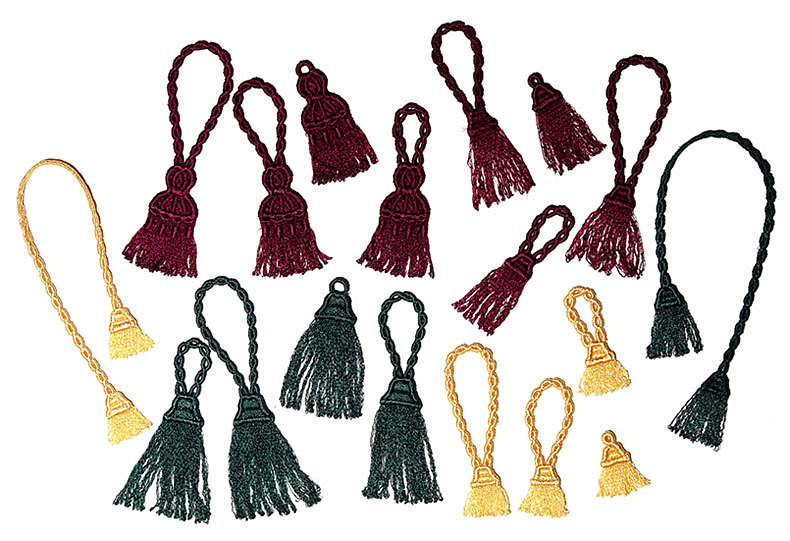 We'll include this free fringy bookmark with tassel by email. 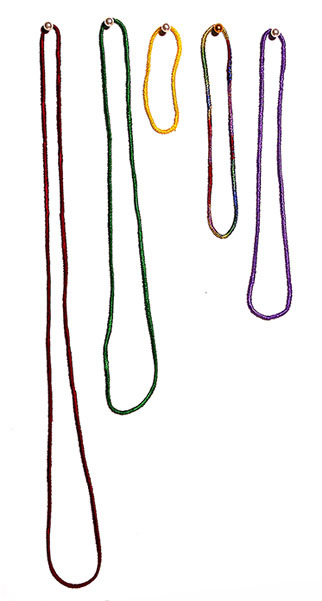 An order for any item on any page qualifies for this free design. 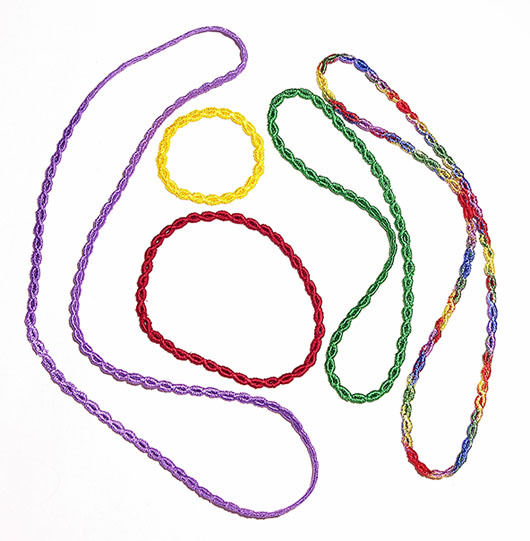 Sizes: 1.04" x 1.37" to 1.46" x 2.00"
For earrings, pins, greeting cards, thank-you notes, favors, scrapbooking, etc. Add a cord to make a bookmark! 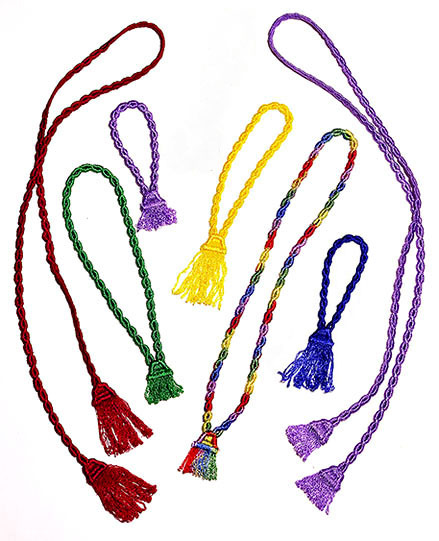 Match your bookmarks and ornaments with these braids--with tassels or without. 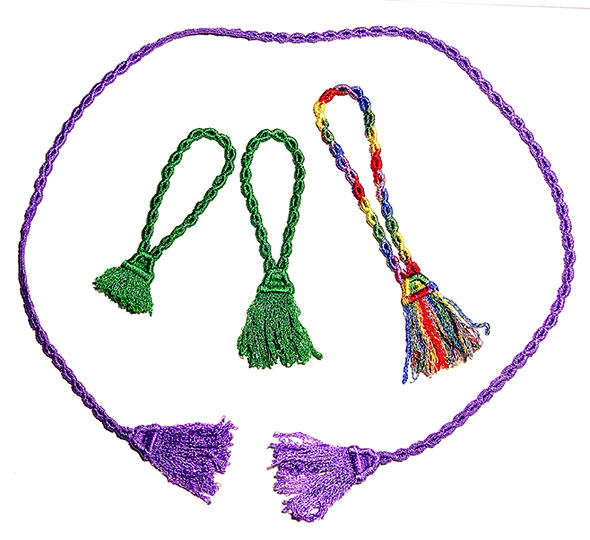 E331 contains two braid sizes, one smaller for small ornament and bookmark holes. 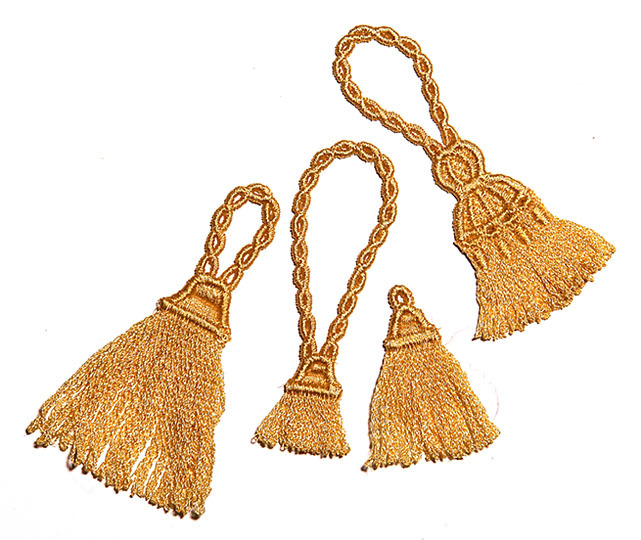 to make double-thick tassels like these. Important instructions for stitching included. Designs in one format by email. 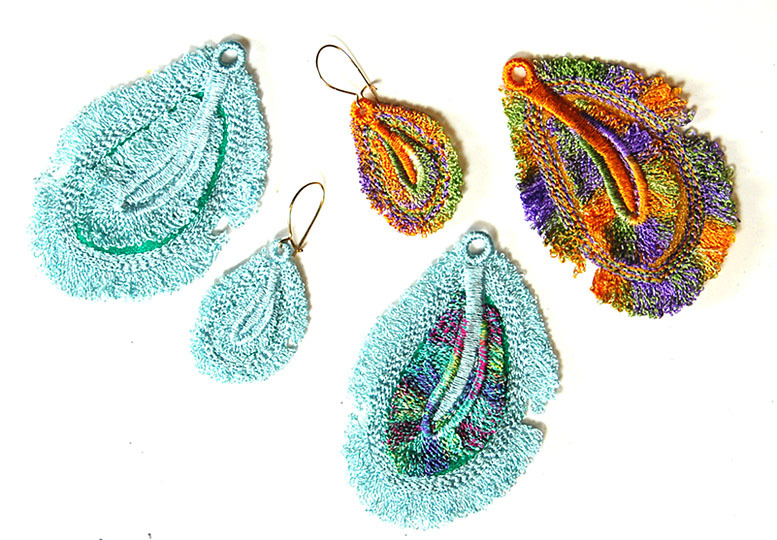 All designs fit 4" x 4" hoop. 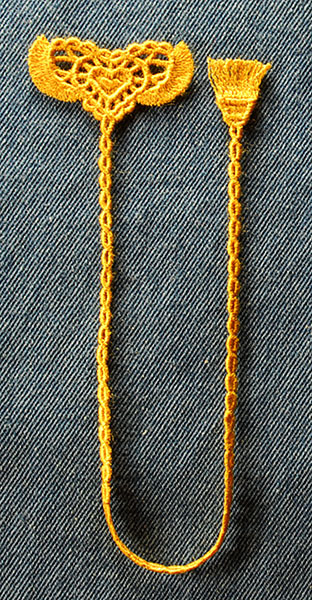 Loops from 2.5" to 7"
Braid with tasseled ends 20"
Loops from 3" to 6.5"
Cord with tasseled ends 19.5"
must be at regular price.